Looking to tighten, lift and tone your face, neck, stomach or legs? Well, we are happy to announce that we are giving away free treatments this summer. 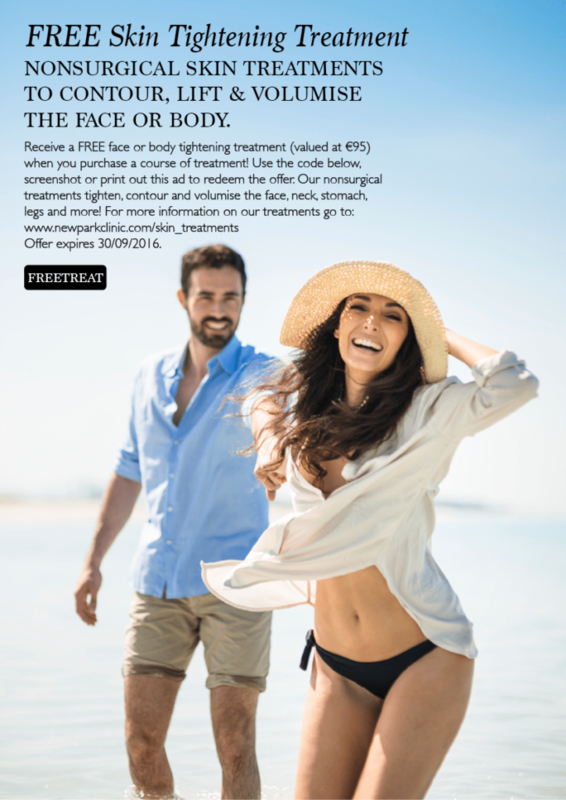 To redeem your free skin tightening treatment use the code below, screenshot or print out this blog! Must purchase a course of treatment (a course consists of 5 treatments) to redeem this offer. Must be 18 years of age or older. Offer expires 30 September 2016. For more information on our skin treatments click here.